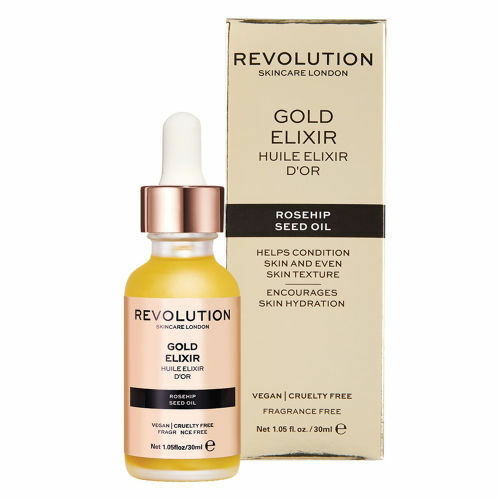 Achieve a dewy complexion with Revolution Skincare Gold Elixir. This ultra-nourishing formula smooths away dry skin, enriched with rosehip seed oil to promote a smooth, even texture and containing subtle gold flecks to create a healthy glow. Ideal for use on dry or combination skin before applying makeup.